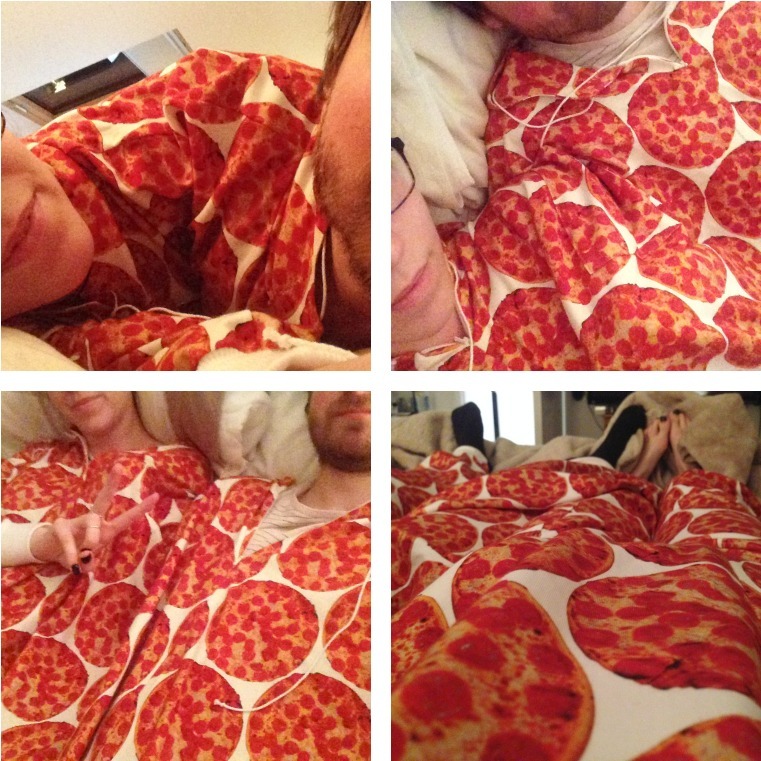 Or I should have really called it ‘the one in which my boyfriend and I dress like a pizza’. Yup. The takeaway twosie is a thing, you guys. JUST EAT have came up with the perfect way to stay warm, snuggle up and dress like your favourite takeaway. Sadly, it arrived after we decided on curry, as actually shoving a margherita in my face whilst wearing it would have been the perfect match! The curry was delicious though and we tried somewhere new (after checking the ratings), so all in all it was a lovely night in! I’ve used JUST EAT for years and so glad they brought about the option to pay online, as awkwardly answering the door and working out whether to leave a tip or get change was always a bit of a nightmare. Anyway, the twosie itself was utterly hilarious trying to get into it, as we both a) lack coordination and b) it’s not the easiest thing to navigate at first. We ended up falling over and couldn’t get up for about 10 minutes due to laughing! JUST EAT say: “Each couple gets an arm, a leg, and a shared third leg – meaning they can easily tuck into each other’s takeaway. The twosie also includes loads of handy pockets – stashing food, cutlery and dips.” – perfect, ey? We sadly had to take it off to actually eat, as it was quite difficult getting around the table, but we’ll definitely be adopting it in the future as a means to be warm and offer up further hilarity!